Almased Reviews: Is It SAFE For You? | Does it Work? Almased Reviews: Is It SAFE For You? Almased promises fast and efficient weight loss, and healthy eating at the same time. But does it work and more importantly, is it safe for you to use? Find out what we discovered about the product. What is your opinion on Almased? Before discussing some of the safety issues about the product, we’ll give a general overview and history of Almased. Almased is a dietary supplement that was available only in Europe, but was recently brought to the US market. You’ll find it packed in 17.6 ounce cans, and can easily be made into a tasty summertime shake. You can use water, juice, or milk, and feel safe knowing that this powder contains no fat, sugar, or ephedrine. Supported by clinical studies in universities from Germany and the US, Almased seems to be the weight loss solution we’ve all been waiting for. People looking to lose weight can replace 2-3 meals a day with this shake. Those looking to maintain their weight should replace one meal daily. Replacing all of your meals with protein powder sounded a bit too much for our team, so we dug deep to investigate if this product really works. Read on to discover what we found. Increase energy and promote a healthy lifestyle. Almased multi-protein powder promises great results for athletes as well. 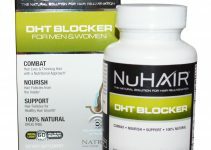 The makers of this product claim it is a natural way to lose weight and it doesn’t have any adverse side effects. If you’re looking to replenish lost minerals and protein during your workout. While Almased claims to be safe for a number of people with certain conditions and diseases, it’s always smart to do your own due diligence, and consult your doctor. Type 2 diabetes: It claims to be safe for most individuals, because it has a low glycemic index of 27. This index represents how slowly or quickly certain foods raise your “blood sugar.” In fact, a study quoted by Medical News Today claims it could actually beneficial for diabetics. Hypothyroidism: If you have thyroid gland problems, please be aware that Almased contains soy. Soy can inhibit the absorption of thyroid hormones. Always consult your doctor in cases you’re unsure about whether to take it. Heart problems: While there is no definitive evidence saying Almased is unsafe for heart patients, it’s definitely wise to speak with your doctor first. During pregnancy: Pregnant women can use this shake as a dietary supplement, but not to completely replace their meals. Breastfeeding: While probably safe, it’s not recommended to lose too much weight while breastfeeding. There a no reported bad side effects on the Almased website, it is possible to have an adverse reaction to the product. This could be a byproduct of fasting or a reaction to a specific ingredient. It’s a good idea to be mindful of these symptoms from the start and see if they persist. The way this “magical powder” is meant to work is very simple. You replace your meals with this drink, creating a lack of calories in your body. This deficiency is supposed to motivate your body to start using fat, giving you a slimmer body. You start off by completely replacing your food with this shake for three days. So it’s 3 days of eating nothing and drinking this shake. If you make it past this point, step 2 includes 2 shakes a day, plus one solid meal. This is the longest step in the process, since step 3 and 4 work are only to maintain your new shape. You accomplish this by replacing only one meal a day. General serving size is 8 level tbs. mixed with 10-12 oz liquid of your choice, and you can replace all your daily meals. So you will be starving yourself with this diet in the beginning, but since Almased is so rich in protein, your muscles won’t suffer. Step 1 – Also known as the Fasting Phase: You have 3 shakes per day plus home-made vegetable broth. It’s important to have vegetable and not chicken or beef, because you’re watching your calorie intake. This phase lasts from 3-14 days, depending on your strength and resolve. Step 2 – Reduction phase: You drink 2 shakes per day and then eat lunch. Snacks and fruit are optional, but you’re advised to eat them for breakfast or lunch. This phase doesn’t have a time limit, it lasts until you reach your desired weight. Step 3 – Stability phase: In this phase you should have your ideal body weight and continue to maintain it. You’ll drink one shake per day, ideally for breakfast or dinner, and have 2 meals per day. Step 4 – Life phase: Here you are allowed to have 3 meals a day, plus one shake. You should feel better, more motivated, and full of energy. What to mix Almased with? Almased doesn’t sell its product directly. They go through different sellers, like Amazon and Walgreens. Each of those sellers will have slightly different prices and returns policies, so be mindful of that. Can you really lose weight with this protein shake? Some people praise this product and ensure that if you follow the instructions and the diet regime, you should lose weight. Others that have tried it weren’t that lucky. The makers of this product recommend having a light workout daily, mixed with the shake. Can lactose intolerant people take Almased? If you are allergic to yogurt, honey, or soy, consult your doctor before taking it because it does contain lactose traces. You can also speak to one of the Almased nutritionists. Give them a ring at 1-877-256-2733. How much weight will I lose? Everyone slims differently, so the makers of this potion can’t give you an exact estimate. To put it in their own words: weight loss result may vary. Can I mix Almased with coffee, tea or juice? Do not mix it with any hot liquids, they will change its structure and lower its effect. When it comes to juice, it’s best if you completely avoid any sugary drinks while you’re on the diet. Also do not use tap water. Where is Almased distributed? It is sold in the USA, Canada, Germany, UK, Austria, and Switzerland. It involves starving at the beginning. You completely replace solid food for shakes the first three days. Big downside of this product is the price. It can get costly after a while, especially if you’re trying to slim your whole family. Doesn’t give the promised energy, most people that tried it complain about this unfulfilled promise. While there are people on the net that rave about this product, there seems to be a bit more people who do not trust it at all. Everyone agrees that the shake smells and tastes horrible. There are recipes on the packaging itself that will help you produce better tasting shakes. On the positive side, this shake makes people aware and conscious of what they eat and how they treat their body. This package comes with a ton of healthy advice that not everyone seems to follow. The people that manage to follow the steps and the food advice are the ones that usually report success and weight loss.. The main thing that everyone keeps repeating is “try not to cheat” meaning, most people will buy this product just to clear their conscience. Do not buy this product just to make yourself feel good about the fact that you’ve done “something” to improve your healthy lifestyle. On the negative side, most people that were unsatisfied with the product say it is money thrown down the drain. They think it costs too much and doesn’t really curb their appetite. Some people even report hair loss and getting regular headaches. This product is not the magic weight loss potion you’ve been dying to get. Meaning, it does work for some people for sure. But usually those people follow strict food regimes, exercise daily, and follow the instructions provided. Even then, you shouldn’t rely completely on Almased to replace your daily nutritional needs. For example, this shake is low in calcium, so you’ll have to add that to your diet. Another important thing – nothing can replace fresh fruit and veggies, so have that in mind. Think of this shake as a healthy meal alternative. Something that should take care of your on-the-go needs. So if you’re rushing to a meeting and don’t have enough time for a meal, this could be a good replacement. But if you’re just sitting at home slurping one protein shake after the other, you won’t get the desired effects. Quite the contrary, you will gain some mass. 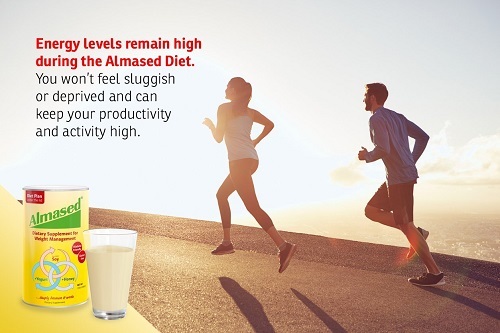 The biggest question we need to ask – Is Almased as healthy as a fresh smoothie? Have you tried Almased yourself? Were there any side effects from taking it? Share your thoughts with us in the comment section below. 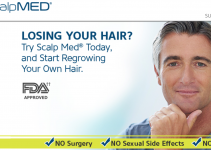 Scalp Med Reviews: Does It Work? 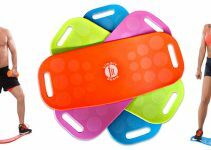 Simply Fit Board reviews: The Exercise Board From Shark Tank!